How do I log a payment as paid by check or other source? This article will show you how to log a resident payment as paid when someone pays via check or other payment source. 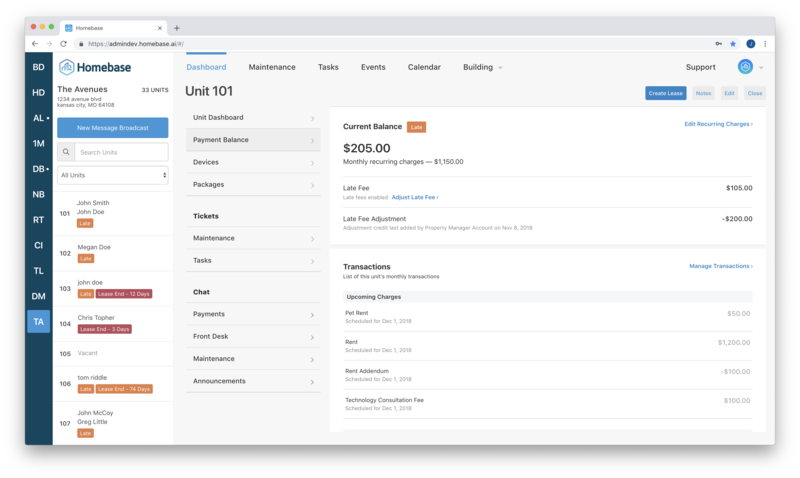 If someone wants to make a payment via check or other source (such as Venmo or Paypal), you can add a manual Payment in their unit transaction history. While Homebase does not currently accept check payments, we still allow you to keep track of payment paid via alternative methods to make sure the Unit Balance is property accounted for. First navigate to the unit that who's payment you would like to add. Next click on "Payment Balance" and select "Manage Transactions"
After selecting "Manage Transactions", the unit transaction list should appear. In the top menu, click on "Add Resident Payment". 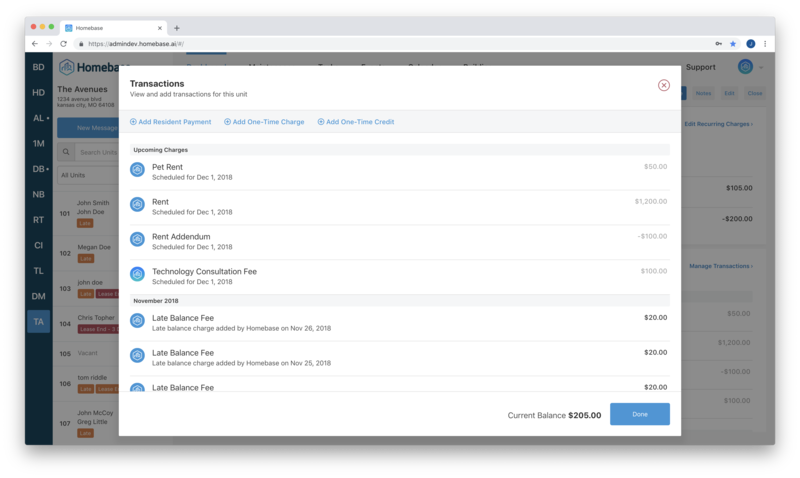 A form will appear to manually add payment details such as Resident, Amount, Date Received, Source, and Notes to log check number or any other payment details. When you're finished entering payment details, click "Add Payment". Your manual resident payment entry will appear on the list of transactions. All residents in the unit will receive a message notifying them that their payment has been logged.